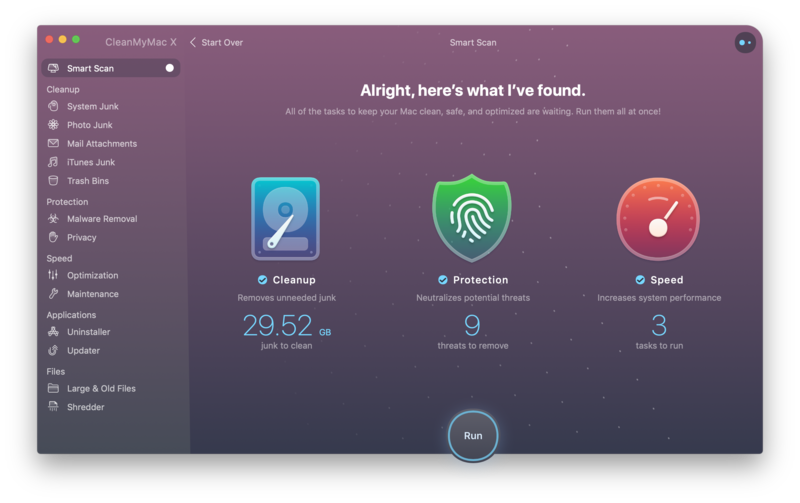 Indie app maker MacPaw updated its Mac cleaning software with a new major version called CleanMyMac X (which is different from MacKeeper). It’s hard to believe, but CleanMyMac currently has 5 million users. CleanMyMac X helps you remove unneeded files and get an overview of what is slowing down your computer. Most people don’t need this kind of apps. But if you know what you’re doing, it can speed up your maintenance process. The app is now divided into four maintenance tasks. First, the app lets you scan your hard drive for gigantic cache files and unneeded language files. If you have a small hard drive, you can easily gain multiple GBs by cleaning up those big Spotify or Dropbox caches. The app also looks for iTunes data that you don’t need and mail attachments that you don’t need on your Mac. The company has built a database of rules to make sure that it doesn’t delete any of your personal files. Second, CleanMyMac X now has a malware scanning element. It can find adwares, spywares, miners and worms on your hard drive and help you get rid of them. You can also easily delete browser data and remove Wi-Fi networks you don’t trust so that you don’t automatically connect to them. Third, the app provides a bunch of maintenance scripts to rebuild your Spotlight index, repair disk permissions, flush the DNS cache and more. 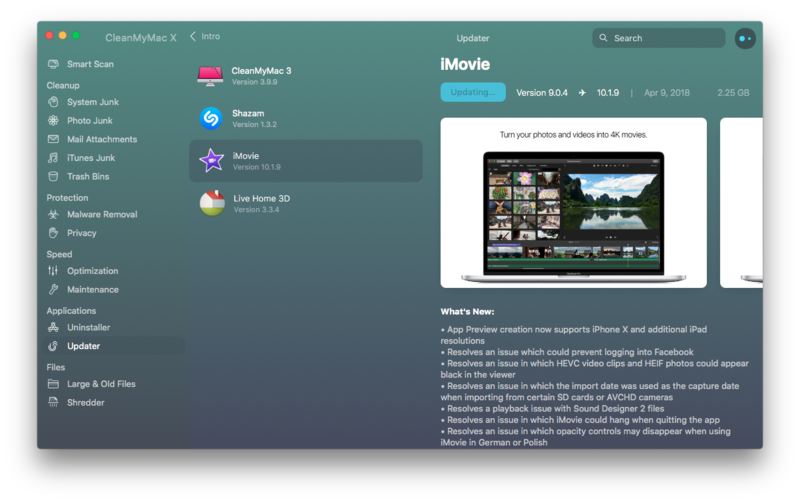 You can also review apps and Launch Agents that automatically start when you reboot your Mac. And fourth, CleanMyMac X now offers an update tab that lets you review all your installed apps to update them all. It works with apps that aren’t in the Mac App Store. You can also uninstall apps and their related support files using CleanMyMac X. The app also comes with an updated menubar app so that you can view basic stats in one click — CPU, memory usage, network speed and more. This isn’t as powerful as iStat Menus, but it gets the job done. CleanMyMac X costs $90, or $45 for existing users. You can also choose to subscribe to the app for $40 per year. MacPaw is also the company behind subscription service Setapp, and CleanMyMac X will be part of your Setapp subscription. Overall, this update brings a couple of nice additions and is a nice evolution. Maybe you’re already using DaisyDisk, Hazel, Objective-See’s security apps, iStat Menus and other utilities that do some of CleanMyMac’s tasks. But CleanMyMac remains a nice package of utilities to take care of your device.